If you are suffering with nagging chronic or acute pain, soreness, cramps, or stiffness in the neck, you've come to the right place. For many, that relief is only a phone call away. 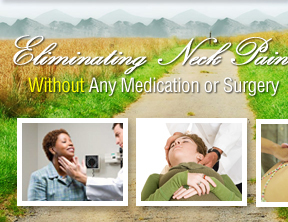 Link Chiropractic Clinic Neck Pain Relief Center specializes in the treatment of neck pain regardless of its cause..